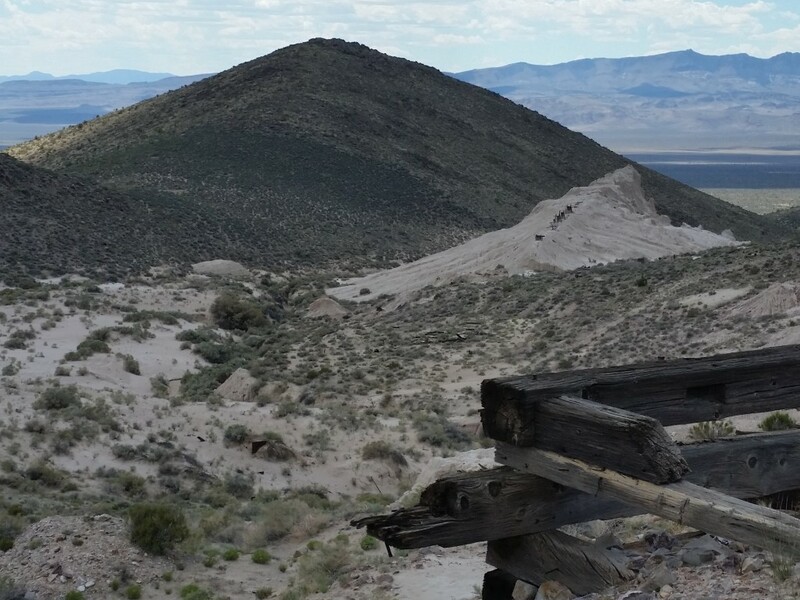 CALIENTE, Nev. – If you are looking for a scenic trip through the mountains and deserts of Utah and Nevada, you might want to take a trek to the Delamar Mine near Caliente, Nevada. 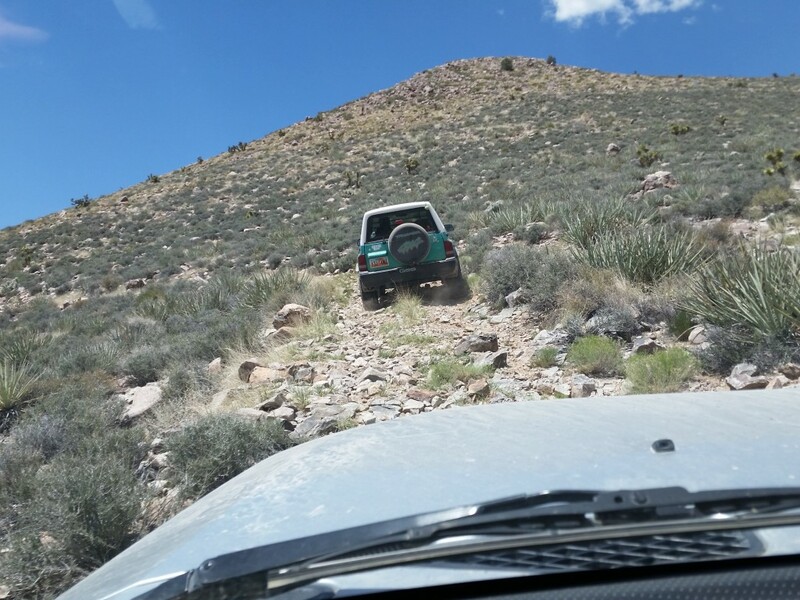 On a warm Saturday morning, a group of friends gathered for a “fun run” with a local off-road group, the Desert Roads and Trails Society. Fun runs are expeditions suitable for stock four-wheel drive vehicles. 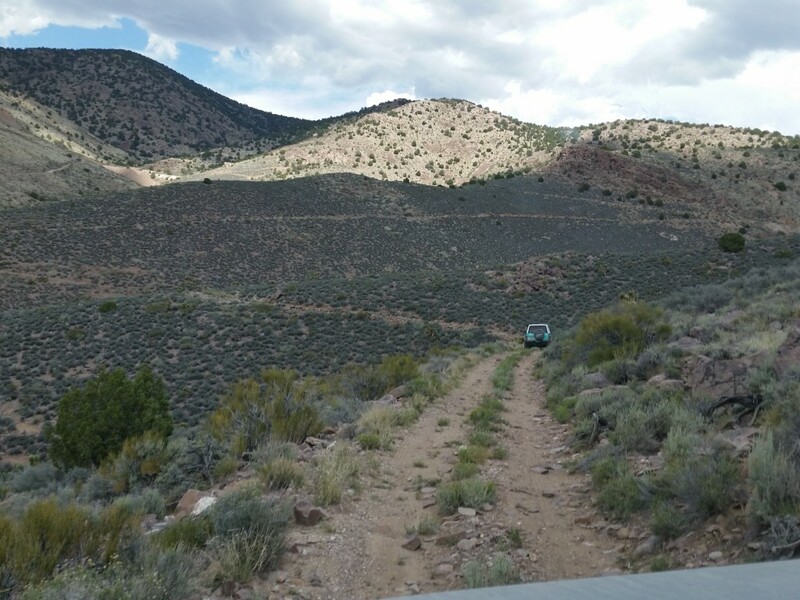 Desert Roads and Trails Society, or Desert RATS, is a family friendly Utah nonprofit organization, and anyone with a four-wheel drive vehicle is welcome to join. 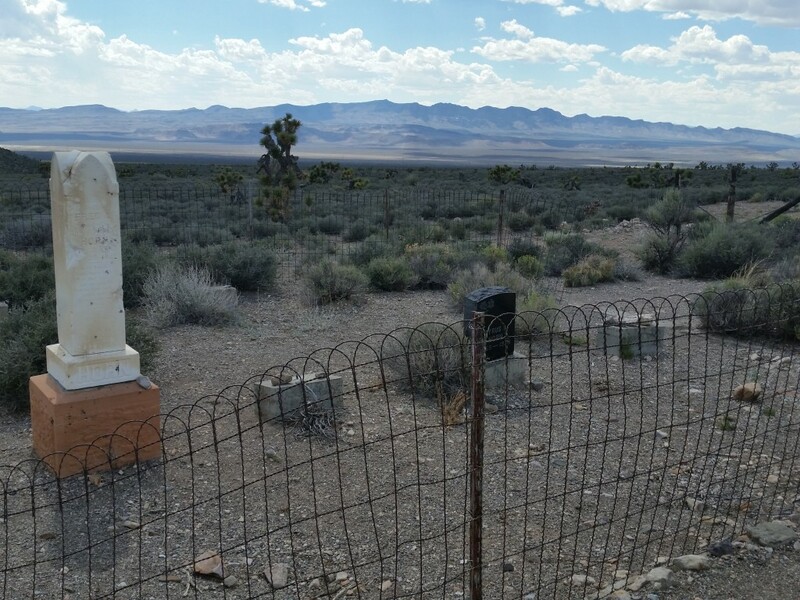 The Desert RATS made the trip to Delamar the long way – mostly on dirt roads. Starting from Veyo, the group headed up to Enterprise Reservoir, then turned west to Elly Mountain, an elevation of 7,185 feet. A Bureau of Land Management fire lookout tower perches atop Mt. Elly. 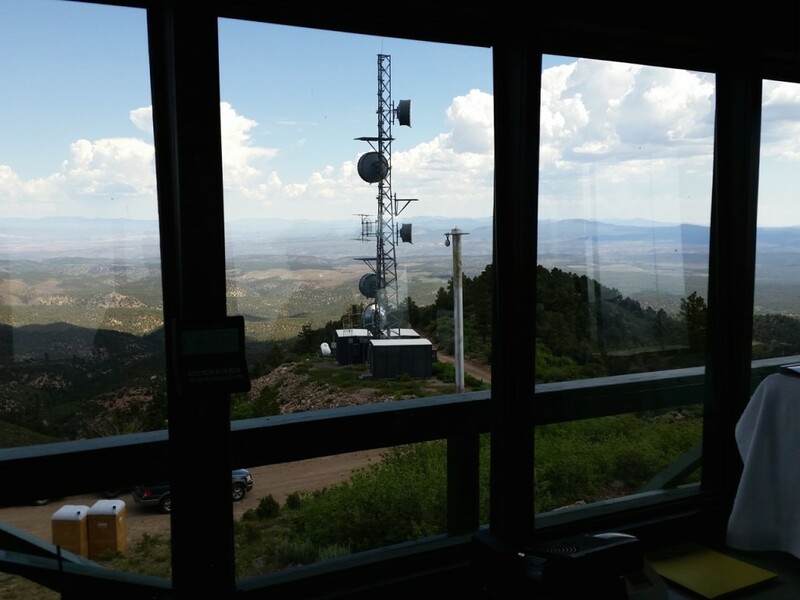 The lookout was established in 1962 for spotting wildfires during the fire season, May through September. 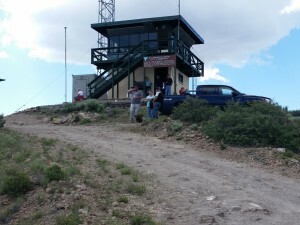 Visitors are welcome and if the lookout manager is available visitors can view the facilities. 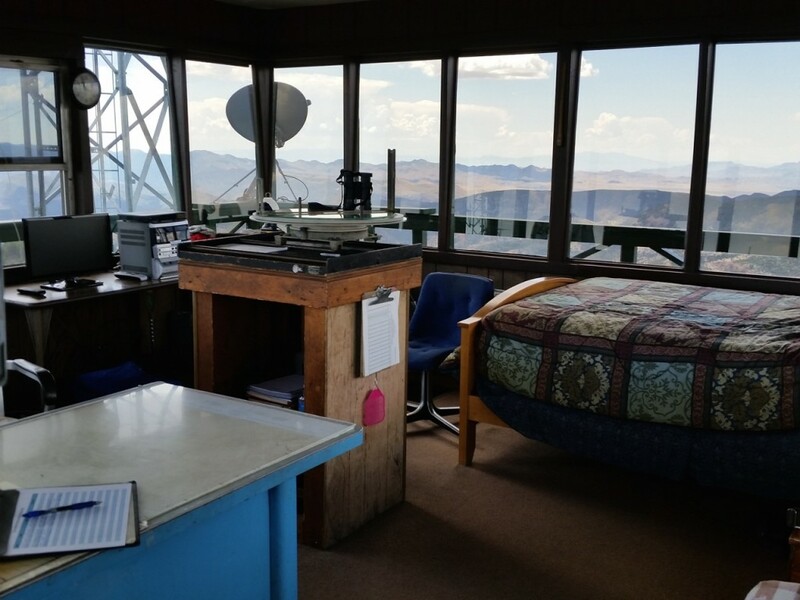 The lookout, John, was on duty, and gave the Desert RATS a tour of the tower, which he personally renovated in 1996. 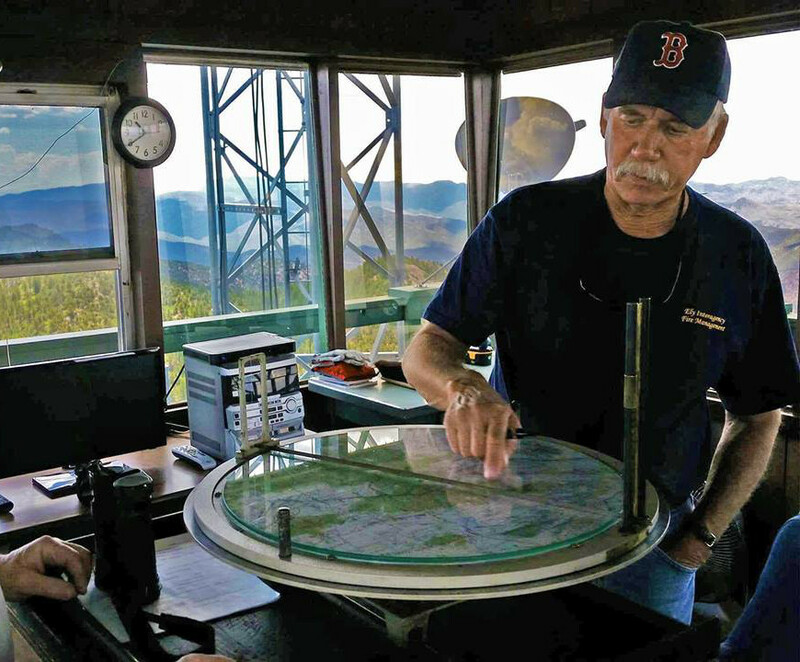 He has manned it every summer since and said he spots an average of 60-70 fires each summer. Many of them are single-tree fires that are extinguished before they can spread. 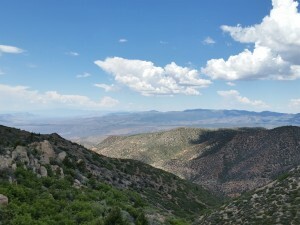 From the lookout, the group headed down a very long, very steep slope into Pennsylvania Canyon, then along a rocky ridge down to the historic Elgin Schoolhouse. 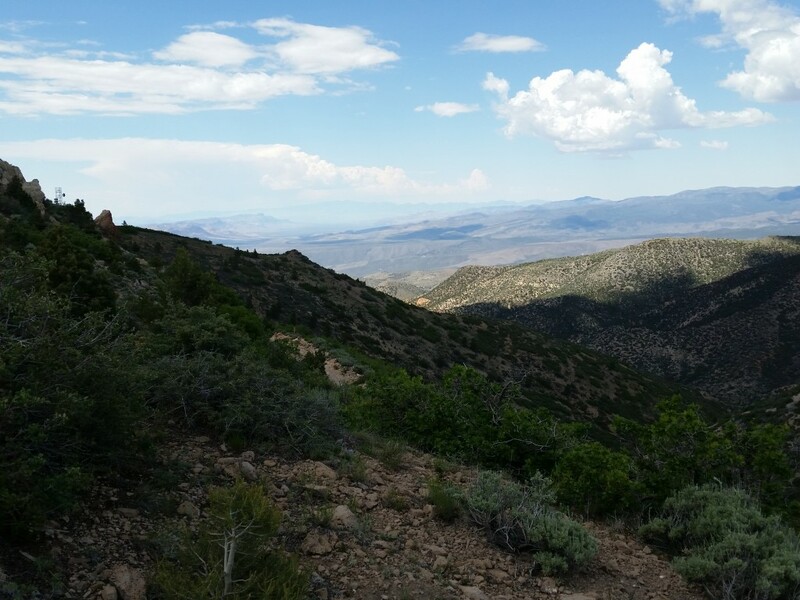 After a climb on Kane Springs Road, the Desert RATS turned northwest to Lookout Mountain. 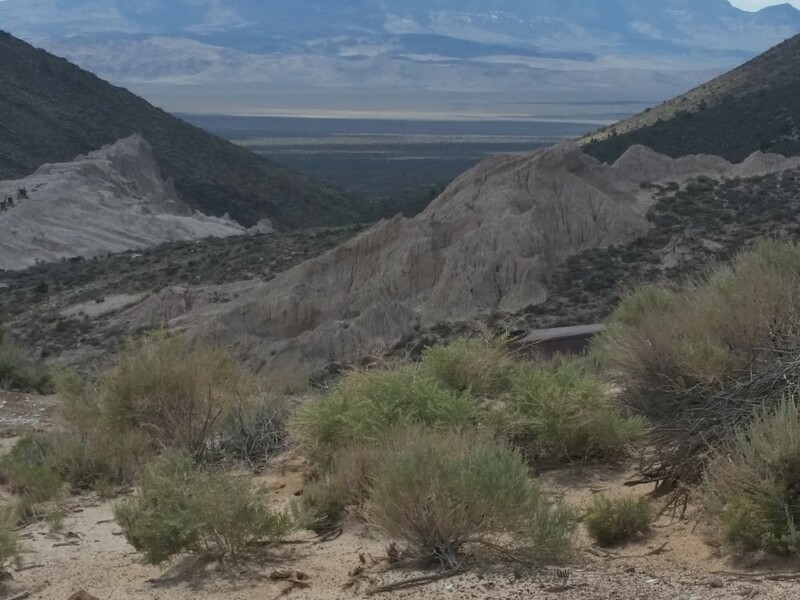 Twenty miles from Kane Springs road, they turned onto a 1.5-mile jeep trail up over the ridge and down into Delamar, Nevada. 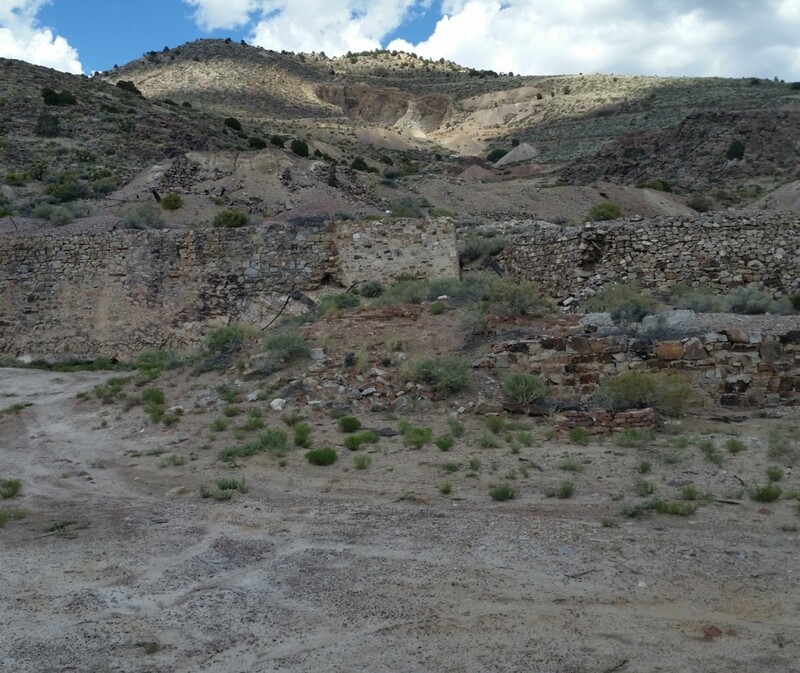 Delamar is a ghost town and mine known as a “widowmaker” because so many miners died working in its depths. 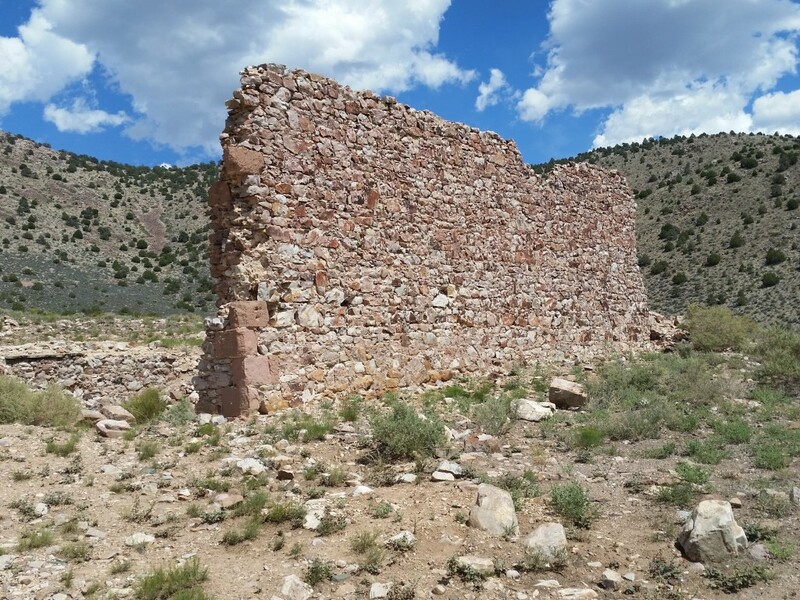 Located 16 miles west of Caliente, Nevada, it is a huge site, with rusted machinery, foundations, walls and mine entrances sealed with stone. 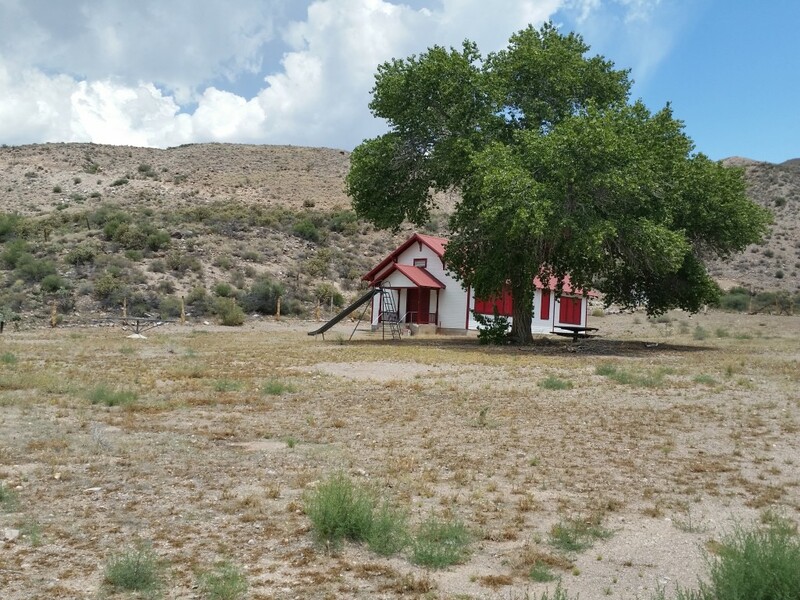 According to the University of Nevada Las Vegas Library Digital Collection “Southern Nevada: The Boomtown Years,” farmers discovered gold in Pahranagat Valley in 1890, leading to the development of the Ferguson District, or Gold City, in 1891. 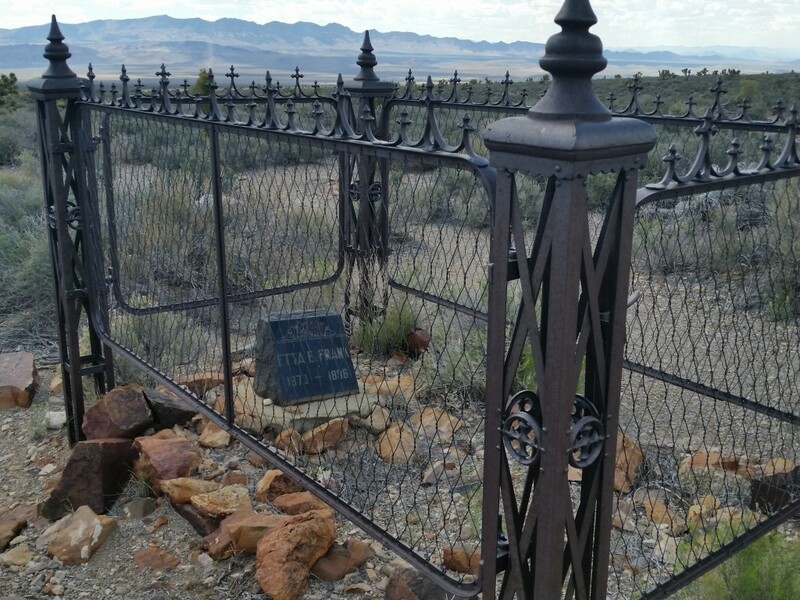 In 1893, Captain John De Lamar of Montana bought the principal claim for $150,000, and in 1894 the Delamar Mine’s principal components were the Hog Pen, the Glory Hole, and the April Fool vein. By 1895, the Delamar mill was producing 260 tons of ore daily. 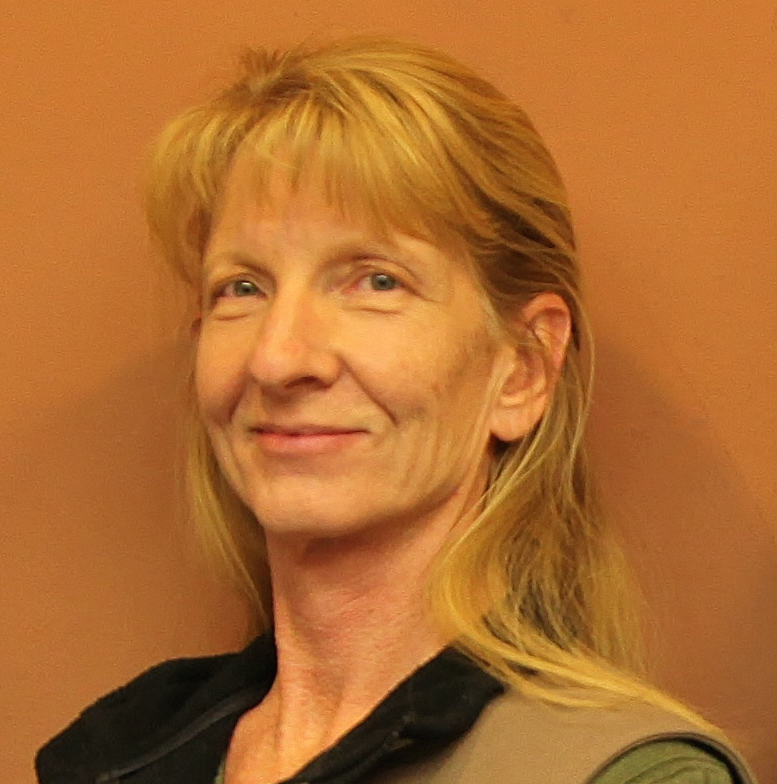 In the following five years, production soared and Delamar’s output accounted for over half of Nevada’s total production. Despite the high number of silicosis cases, the mines had a constant labor force because miners were paid an average of $3 a day. By 1897, the population was over 3,000 citizens, but a fire destroyed half the city in 1900. In 1902, Captain De Lamar sold his mine for $8.5 million in gold. The new owner, Simon Bamberger, renamed the mill the Bamberger-Delamar Mine and installed another 400-ton mill. 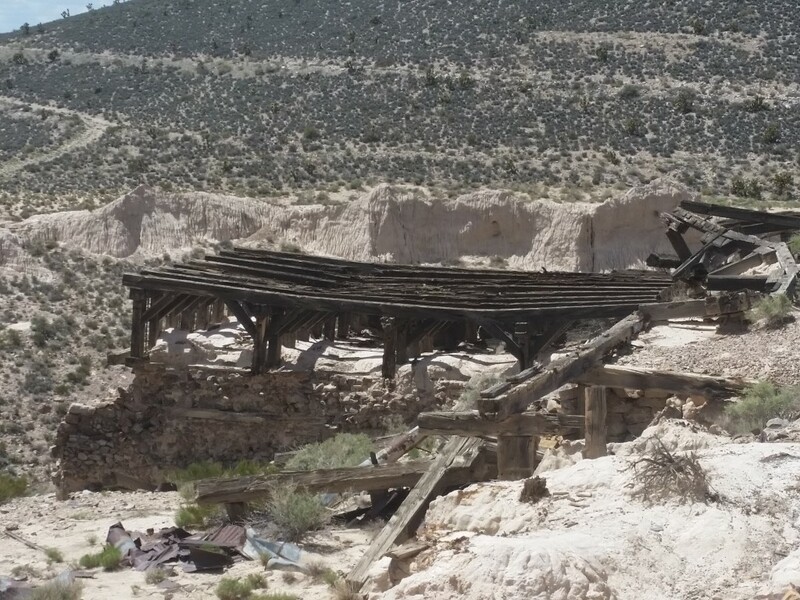 With the addition of this new mill, production boomed, and Delamar soon became the third largest producer in Nevada after Goldfield and Tonopah in 1906. 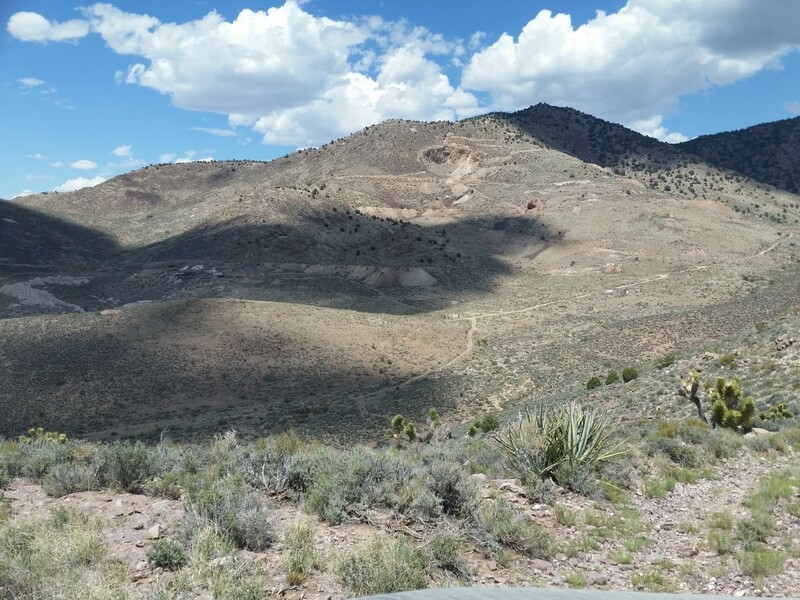 The mining district closed in 1909 with an estimated $13.5 million in total production. Delamar is off U.S. Highway 93 approximately 16 miles west of Caliente, Nevada. 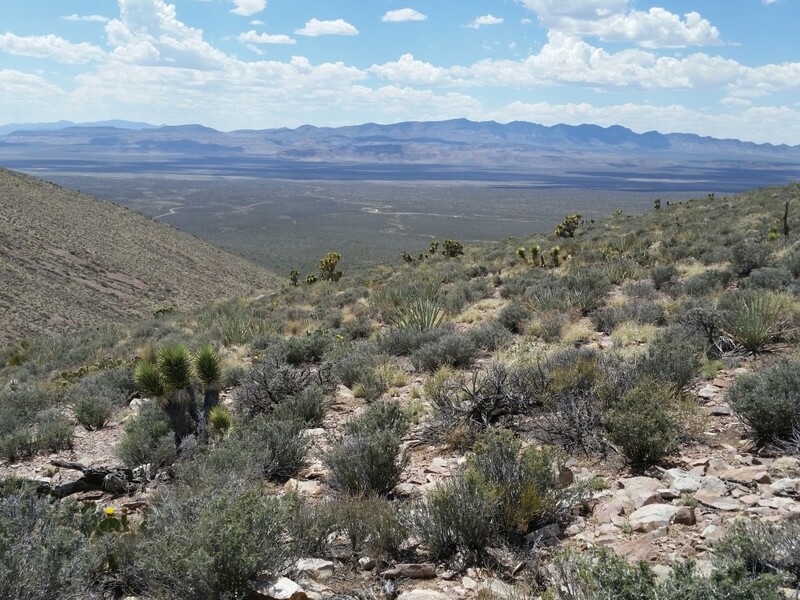 From Caliente, drive about 15 miles south on the gravel and rock South Poleline Road to Delamar. A four-wheel drive vehicle is likely needed.